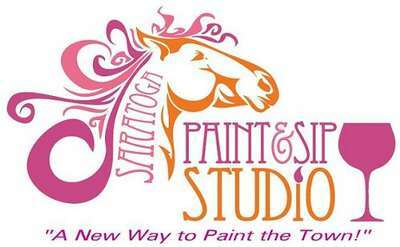 Looking for fun kids activities in Albany NY? 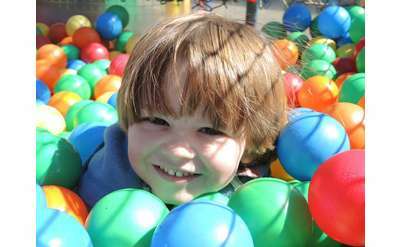 Find great spots for birthday parties and outings with children. From childrens museums, family farms, water and amusement parks.. the list goes on and on and you can discover it all in and around Albany! Help your child learn the history of the Hudson River and Henry Hudson's voyage with this kids video podcast! 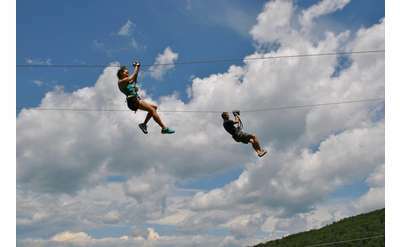 Located at the Hunter Mountain Ski Bowl, New York Zipline Adventures LLC offers incredible family-friendly outdoor adventures and features the largest zipline canopy tour in North America. Riverside Maple Farms is much more than just a working farm - it's a year-round destination for maple tastings, tours, events, and family-friendly fun. 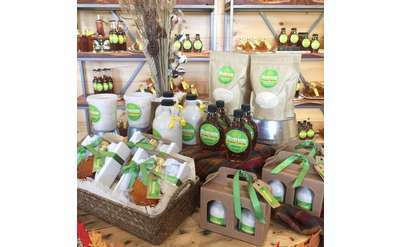 Try different syrups, tour the facility, and check out all the maple goodies at the retail shop! A not-for-profit institution, miSci (museum of innovation and science, formerly the Schenectady Museum) explores science and technology - including a planetarium, demos and hands-on activities for adults and children. 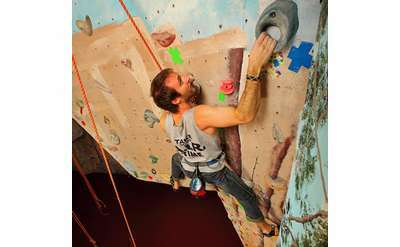 Albany's Indoor Rockgym is one of the premier rock climbing gyms in the Capital Region, featuring a variety of climbing walls and structures, an indoor caving system with a half mile of tunnels, and a 60-foot zipline! 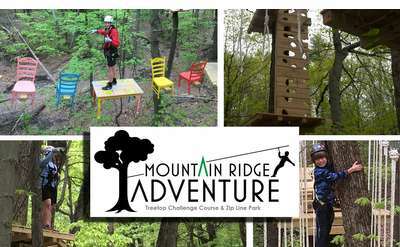 Mountain Ridge Adventure is the Capital Region's most thrilling treetop challenge course and zip line park located just 30 minutes from Albany, 30 minutes from Saratoga and only 10 minutes from Schenectady. No experience necessary - a local artist will instruct you step by step through an original piece of art while you follow along with a cocktail! At the end of the night you'll take home a beautiful painting & hopefully a new found talent. The Arts Center of the Capital Region engages people in the creative experience. We are the region's preeminent proponent of the arts & creative education, expression, and appreciation, serving people of all ages, abilities and cultural backgrounds. Ready to get in the holiday spirit? Gather up the family and head over to Christmas Land LLC - the Capital Region's premier hotspot for old-fashioned holiday season activities, including pictures with Santa, crafts, sleigh rides, treats, and more! Go West this winter! Conveniently located just 3 miles off I-87's Exit 18, West Mountain Ski Area is NY State's premier destination for outdoor and family-friendly winter fun, including downhill skiing, snowboarding, and snow tubing. Take your fun to the next level at Airdrenaline! 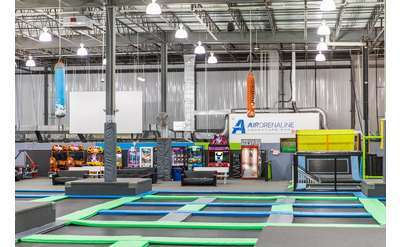 This trampoline and adventure park goes beyond trampolines to offer trampoline dodgeball, trampoline basketball, an airbag pit, a kids center, and more. Experience something different at Airdrenaline. Children's Museum of Science & Technology (CMOST) inspires young minds to engage in a lifelong exploration of science and technology, instilling a sense of wonder and discovery. Tru-Escape presents unique and interactive live action adventure games. You will have to work as a team to solve puzzles, riddles, find clues and complete tasks if you hope to solve the room. Located less than 6 miles away from Lake George, NY, The Great Escape & Hurricane Harbor is the region's premier theme park featuring over 135 rides and attractions, including thrill rides, family rides, and a full outdoor water park. 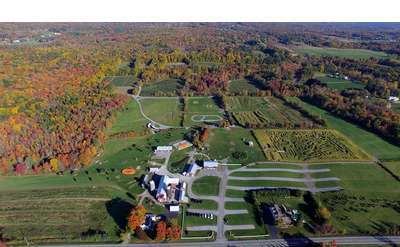 Liberty Ridge Farm is the perfect destination for the fall season! There is something for everyone, including a corn maze, pumpkin patch, cider donuts, live entertainment, and more. 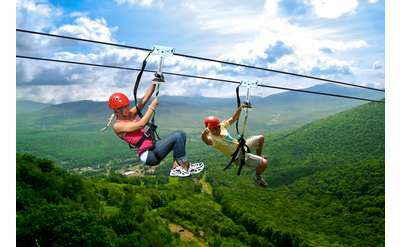 Catamount Aerial Adventure Park is the Northeast's largest and most complete self-guided aerial adventure park with 12 tree-top courses including 3 zip line courses. The park caters to all ability levels for ages 7-adult. Only 1 hour from Albany. 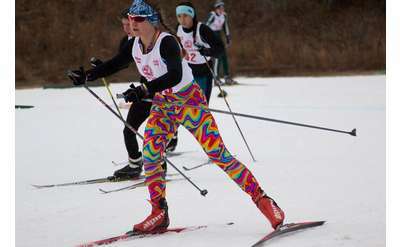 The Nordic Center at Gore Mountain features a wide range of well-designed trails for both cross-country skiing and snowshoeing at the historic North Creek Ski Bowl. Trails range in difficulty from beginner and family-friendly to expert level! 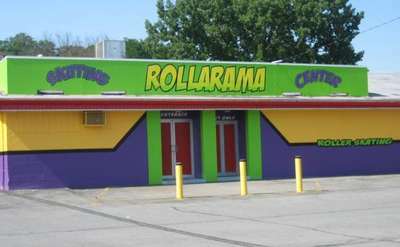 Rollarama offers indoor roller skating, inline, quad and speed rentals, game room, redemption counter, full concession area, birthday parties, private parties, fundraising opportunities, learn to skate classes for kids and adults, and more! 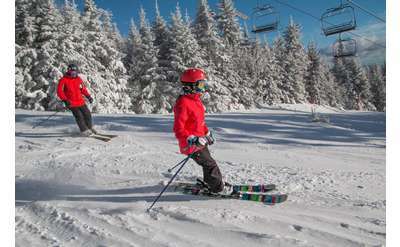 Gore Mountain is a premier family ski resort in upstate New York, nestled in the Adirondack Mountains with 110 trails (2,537 vertical ft), 14 lifts, and six on-mountain dining options! Funplex Funpark offers something fun for everyone! Your family will have a blast playing miniature golf, riding go-karts, climbing the rock wall and much more! No need to spend hours in the car - Funplex offers so much fun, so close to home! We are the best family-owned, full-service party rental company serving Albany, Saratoga, Lake George & surrounding areas. 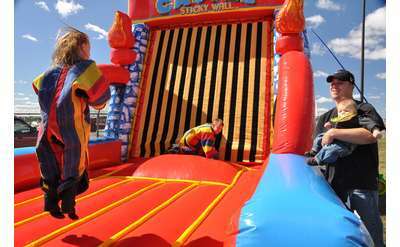 Our inventory includes bouncy houses, water slides, inflatable obstacle courses, food machines, tables, chairs, tents and more! 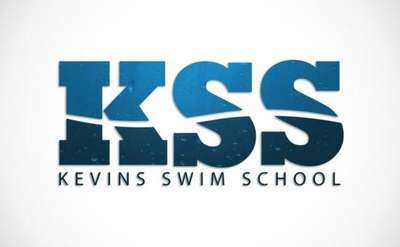 Here at Excel Aquatics, we believe that swimming lessons are an essential activity for all children. Your child deserves to learn basic water safety skills the right way, and have a fantastic experience that teaches them to love the water. Zero Gravity is the number one laser tag and arcade in the region, compete with up to 30 players in our 5,000 SW Ft. Multi-Level arena and wall to wall arcade! 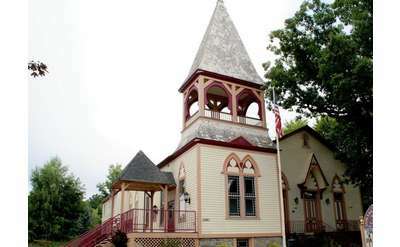 The Center is a renovated Church built in 1835, still with its original stained-glass windows. It hosts several activities such as theatre productions, art exhibits, children's activities, concerts, and more. Also has available rent space. 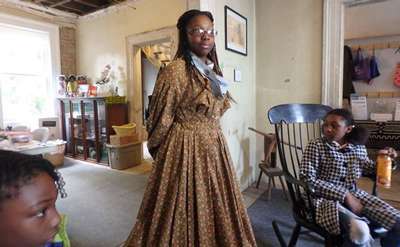 Underground Railroad History Project of the Capital Region, Inc. The Underground Railroad History Project researches and preserves the local and national history of the underground railroad movement and its international connections, engaging in dialogue about the relevance of this movement to modern society. 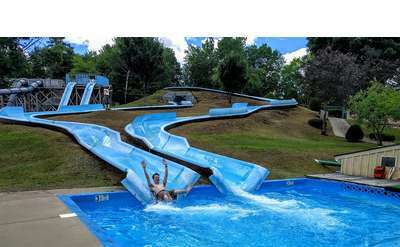 Water Slide World is a tropical paradise located in Lake George with over 35 slides, attractions and services. Watch your cares disappear at this family-owned, family-friendly park. DeVoe's Rainbow Orchards is an apple orchard and country store offering u-pick apples, fresh produce, baked goods, gift baskets, and during the summer, incredible ice cream at Rainbow Delights! Create lifelong memories at this local family farm.